There were large clouds hanging over the opening round of the Dublin SFC last weekend, but they didn't threaten rain. Instead they threatened the seismic returns of Diarmuid Connolly and Rory O'Carroll to the Dublin football fold. All eyes were on the pair's club performances, with the possibility of rejoining Jim Gavin's Dublin squad looking far more likely than most had previously thought after an indifferent League campaign. This was the first League campaign under Gavin's watch where the Dubs didn't reach the final. It left many calling for Connolly and O'Carroll to be back on board for their 'drive for five'. Club and county are chalk and cheese in many respects but neither did their case for inclusion any harm, with the mercurial Connolly adopting a new role at centre-back as St Vincent's swatted aside St Brigid's on Friday night with Mossy Quinn's penalty helping them to a 1-14 to 1-6 win. The 31-year-old - who spent last summer playing in Boston - hasn't been seen in a Dublin shirt in over a year and seems to have a somewhat fractured relationship with Gavin. Whether that can be mended, or if either want to mend it, is another story, but there's no doubting that his brilliance could play a telling role if he is restored to the squad for their assault on five-in-a-row. 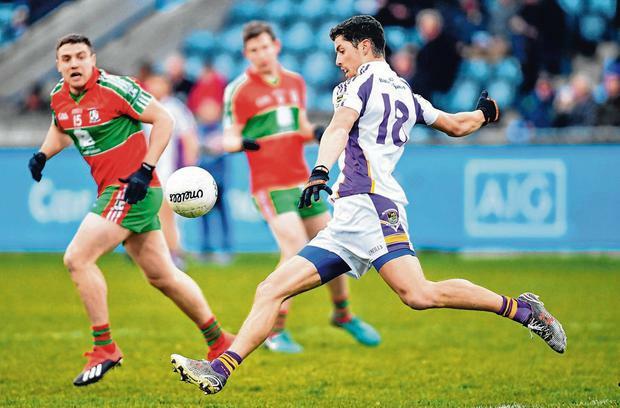 Last year's Dublin SFC champions Kilmacud Crokes were similarly impressive in their 2-13 to 0-14 victory over Ballymun Kickhams on Saturday as O'Carroll slotted into his usual full-back role with aplomb. O'Carroll, a two-time All-Star No 3, left the Dublin fold in the wake of their All-Ireland success in 2015 to go travelling and it looked like the chances of a comeback were minimal, only for him to return home permanently in recent months. With persistent question marks hanging over the ability of Dublin's full-back line to deal with aerial bombardment, the return of the physically-imposing 29-year-old to the squad would be a feather in Gavin's cap. The Dublin supremo will get to cast his eyes on Connolly and O'Carroll (and many more) over the coming days as they play the next round of club championship and it is expected a decision will then be made by management about their Dublin futures. Attention will then shift to going where no team has gone before and securing five All-Ireland titles in succession. What happens with Connolly and O'Carroll could play a huge part in their bid to rewrite history. Dessie Farrell - the man many consider as Gavin's successor and currently part of Mattie Kenny's backroom team with the Dublin hurlers - got his Na Fianna reign off to a flyer with a commanding 14-point hammering of St Sylvester's on Saturday. They did so without the services of Dublin defenders Jonny Cooper and Eoin Murchan, but Conor McHugh impressed for the Glasnevin side in their 3-14 to 0-9 win over Sylvester's. Meanwhile, 2016 All-Ireland club champions Ballyboden St Enda's edged Clontarf by a single point, 0-11 to 0-10, while Brian Fenton's Raheny shared the spoils with Thomas Davis and Lucan Sarsfields were never forced out of third gear as they defeated Skerries Harps, 3-14 to 1-10.